Edgecombe Community College's travel program is off to Washington Dulles Airport! The flight leaves at 5:45 in the afternoon and it arrives in Amsterdam at 12:10 PM tomorrow. Then off to Glasgow, Scotland from there. 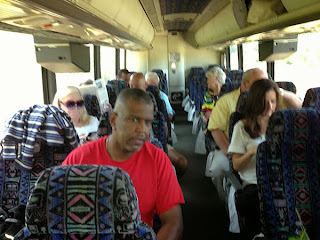 Pictured above are a few of the 25 travelers going to Scotland.